I have been chosen as a contributing member of the 2013 Sewing Rabbit Creative Team. 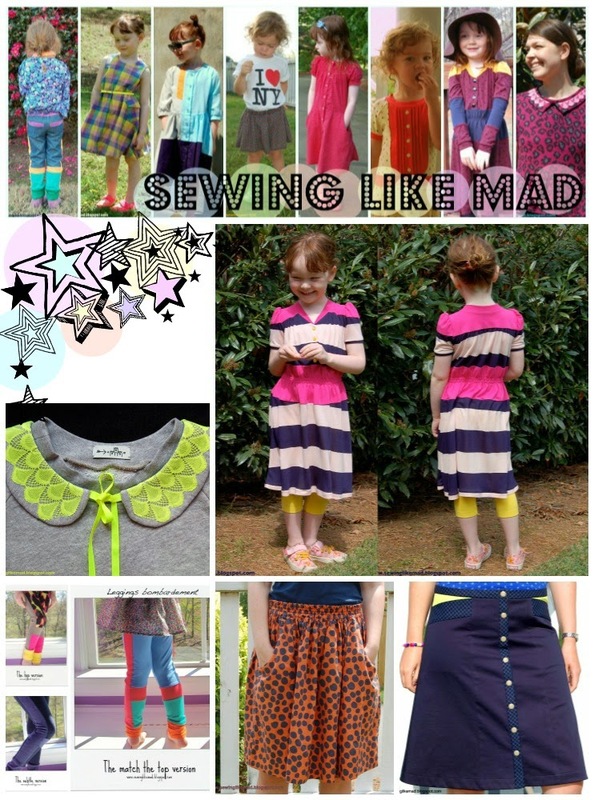 Once a month me (and a bunch of other really talented ladies (see them all HERE) are having a guest post on the blog Me Sew Crazy who is run by one of the people in the blogging world that I admire the most, the AMAZING Jess. I mean not only is she making her own blog that always have relevant and interesting posts, she is also participating in blog series and Project Sewn (where she of course made it to the finale - results today friday 31st - so maybe you should check that out too). But she is also the woman behind the amazing site SewSet where YOU can upload your patterns and tutorial for sale or for free, she arranges Girl's Night Out (I am attending my first one this weekend in Los Angeles which means I am actually going to meet her...and a lot of other amazing ladies) and The Digital Needle. And now she is giving smaller blogs like me a chance to showcase our stuff 'on the big screen'. Totally totally excited. If you are a new reader coming from Me Sew Crazy to check out the new kid(s) in class (welcome!!) you can see some of my personal favorites and the links to the blog posts below. Here are the links to the photos in the collage above. Bulle de Savon knock off. Jersey dress with a vintage feel. My inner Grandma jersey dress. Free printable separate collar pattern. A-line skirt with snaps and pockets. I have also updated my Sewing Tutorials page here on the blog and you can find all my tutorials so far there plus at SewSet.....many more to come with this new 'job'. Anything specific you are dreaming of me making tutorials about?....within the sewing and pattern drafting area!...then leave me a comment, thanks! See you soon again here and there! Congratulations! You must be over the moon excited! I love your blog and am so excited to see your posts on the Sewing Rabbit! That sounds like such an amazing opportunity, I hope your meet up goes well!